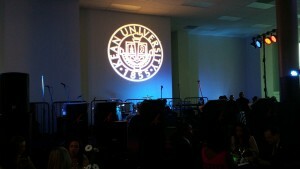 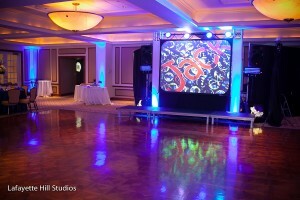 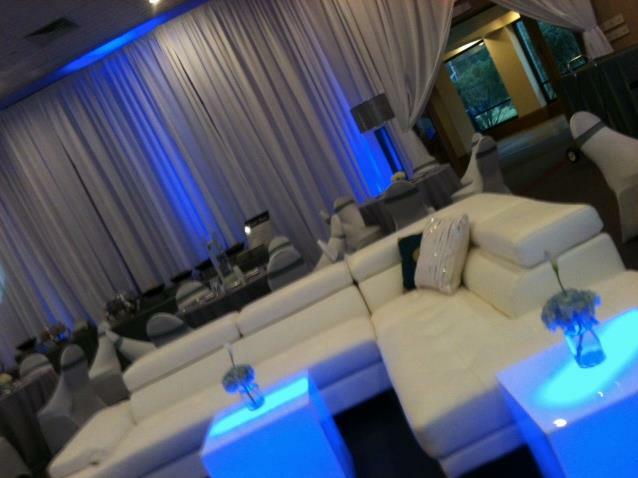 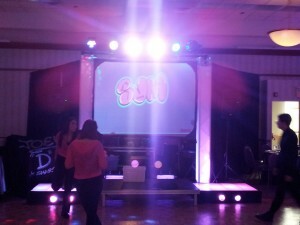 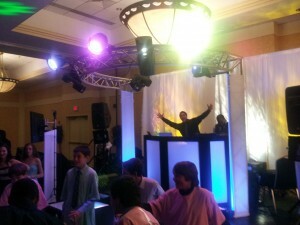 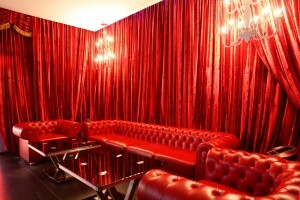 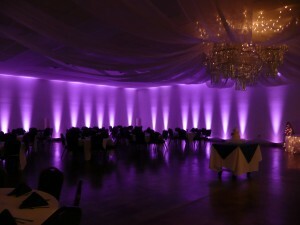 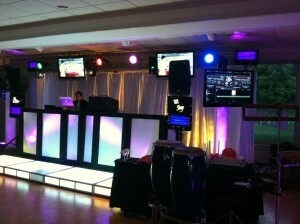 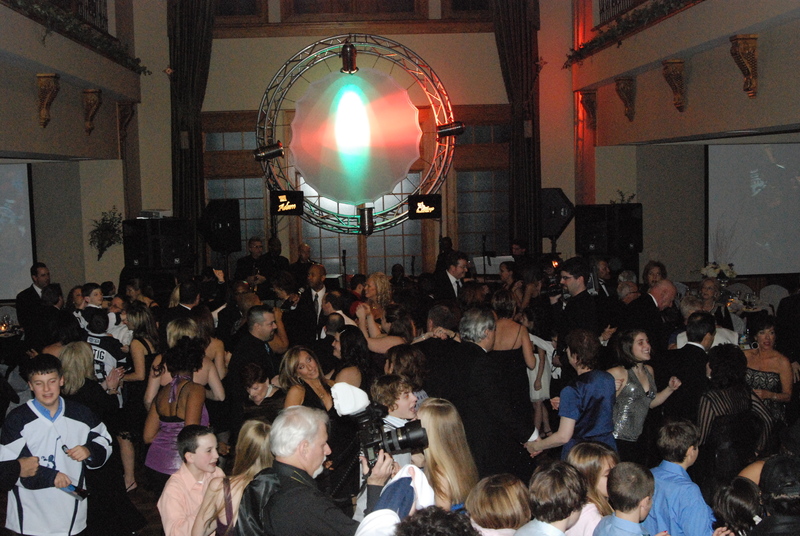 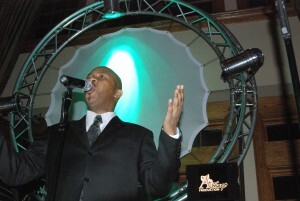 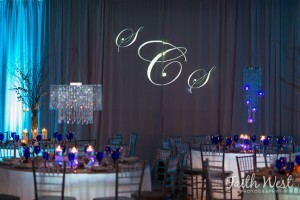 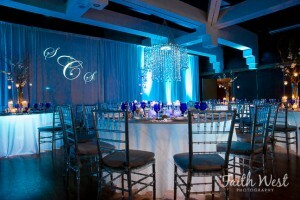 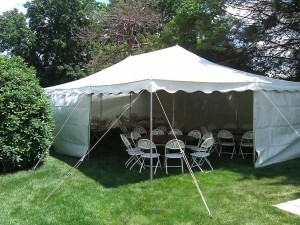 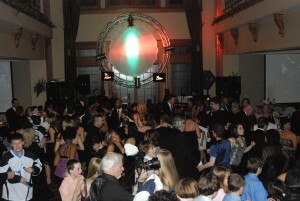 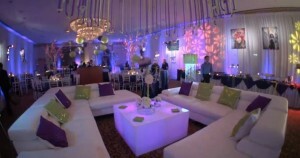 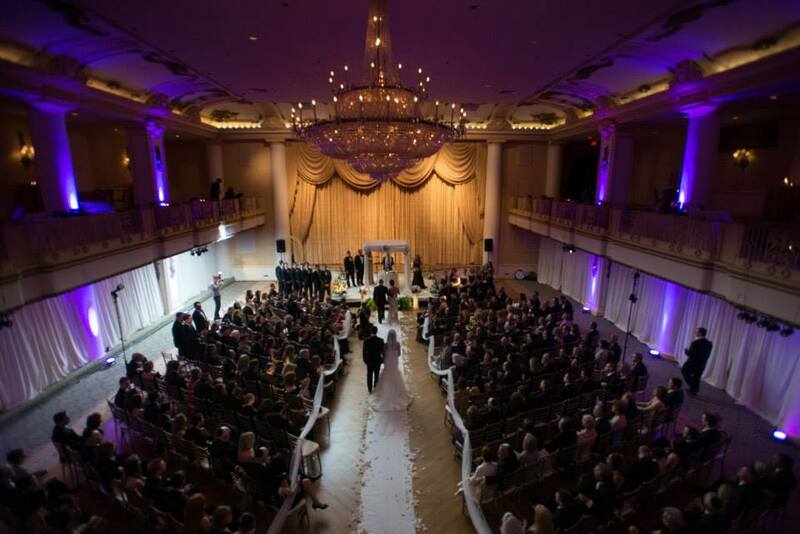 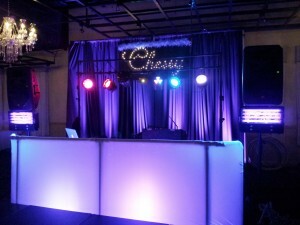 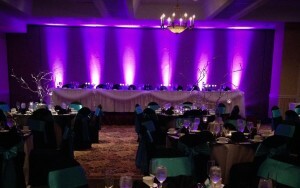 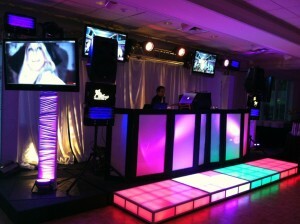 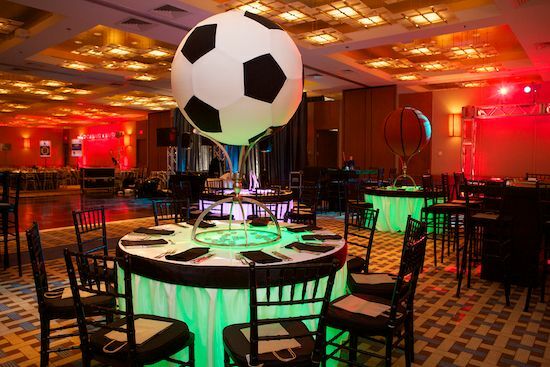 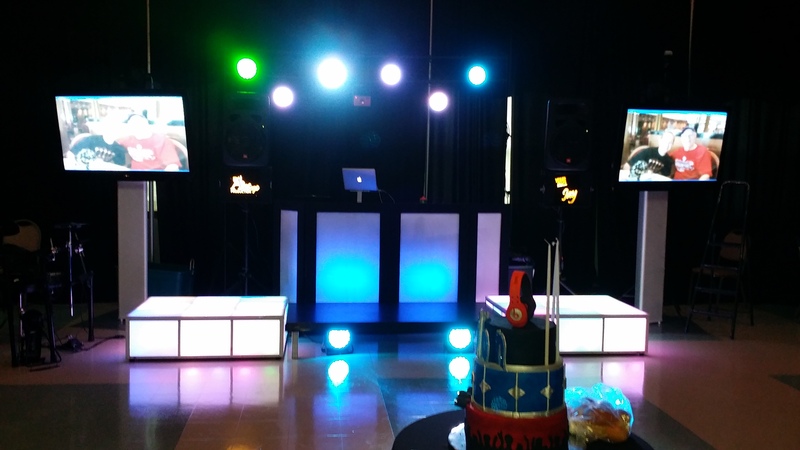 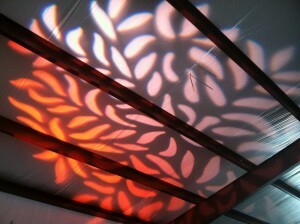 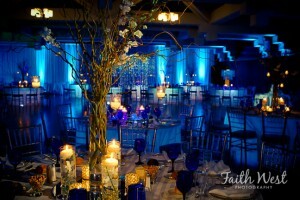 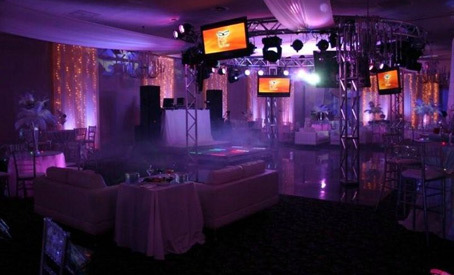 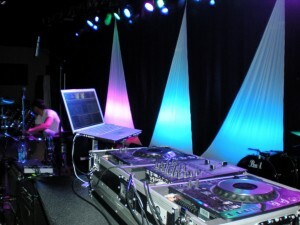 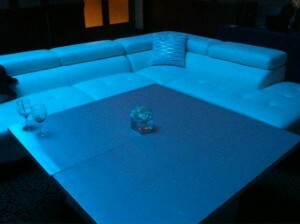 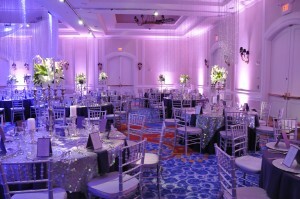 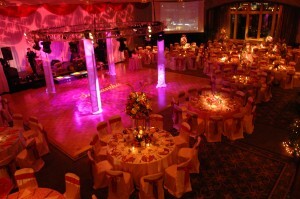 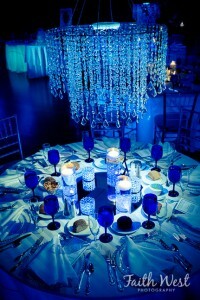 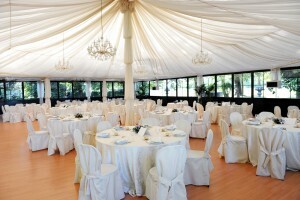 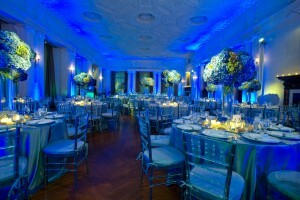 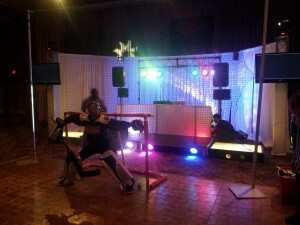 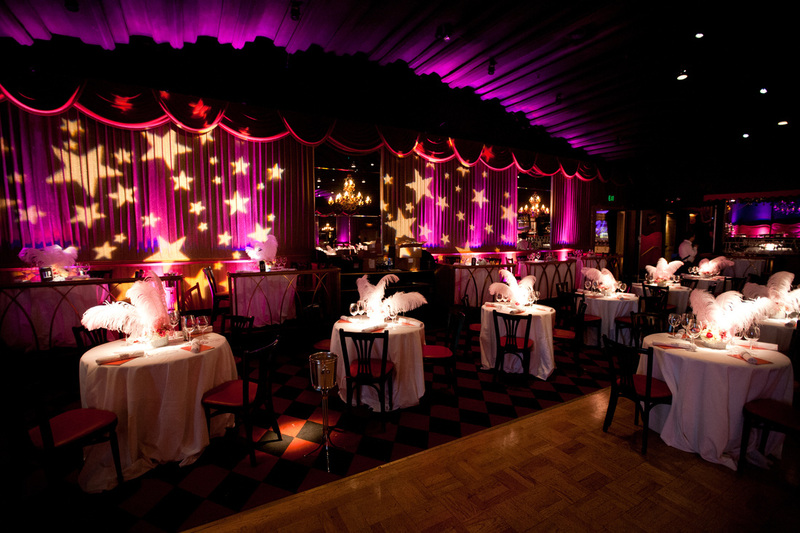 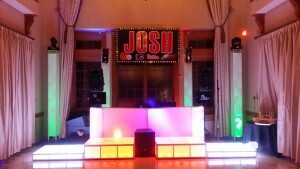 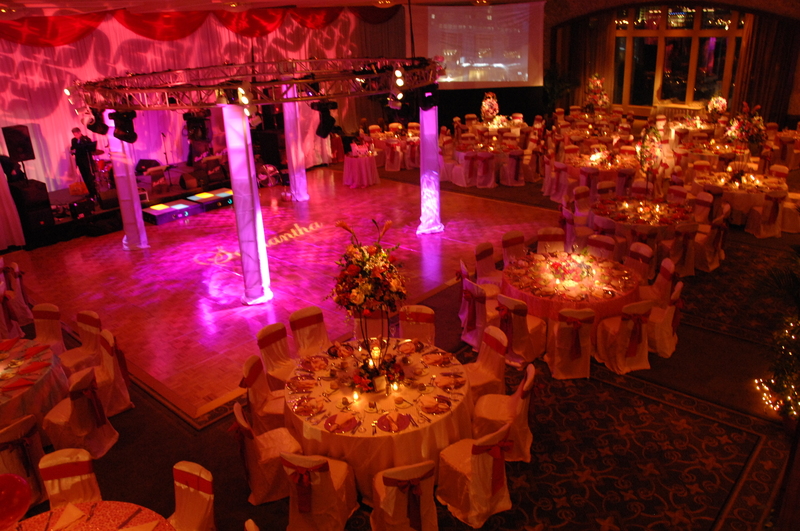 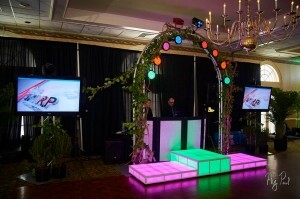 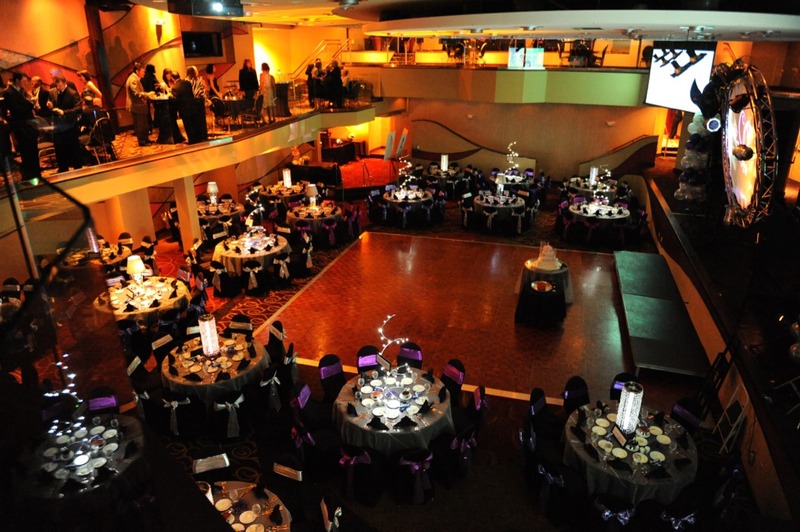 Party Rentals, Energy, Elegance & Excellence! 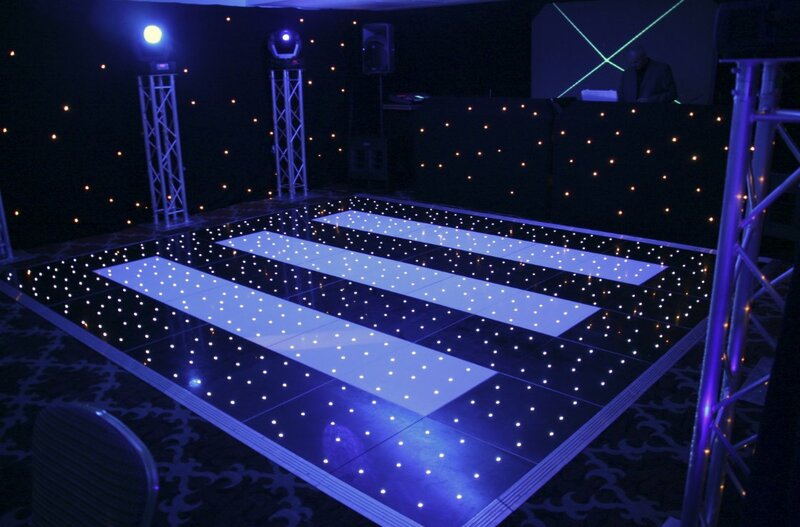 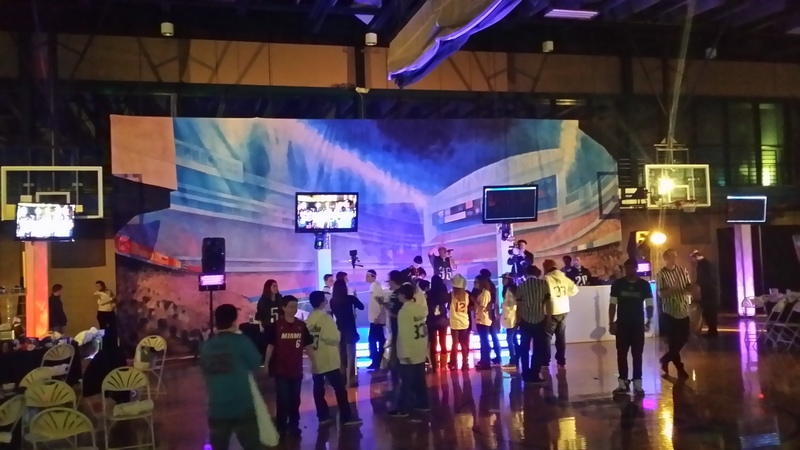 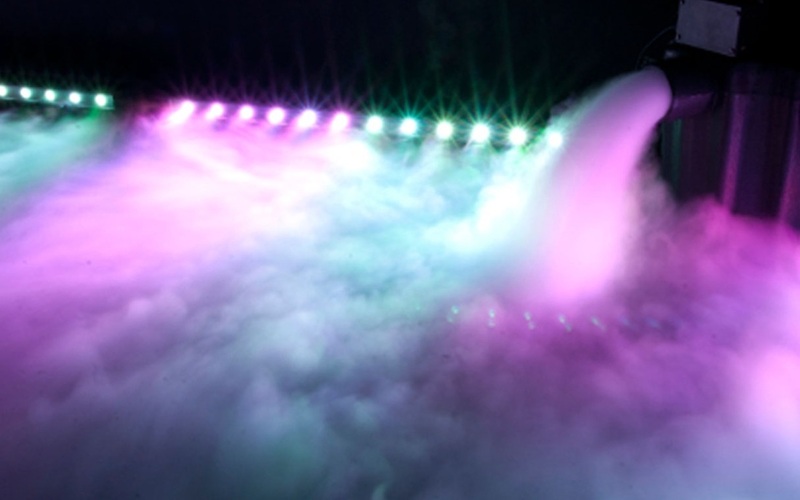 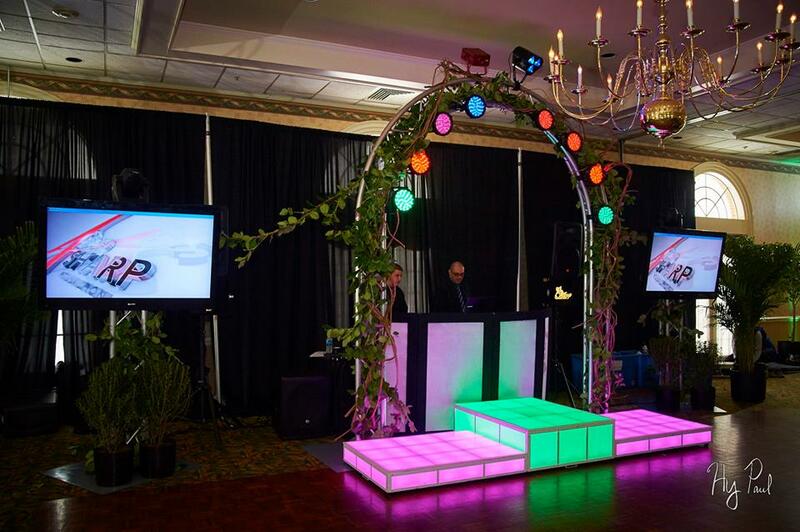 Led Dance Stages | Dance Floors | Up Lighting | GOBOS | Pin spots | LEKOS | Low Laying Floor Mist | Black Lights | Table Under Lights | Table Under Lights | LED Tables | LED Chairs & More ! 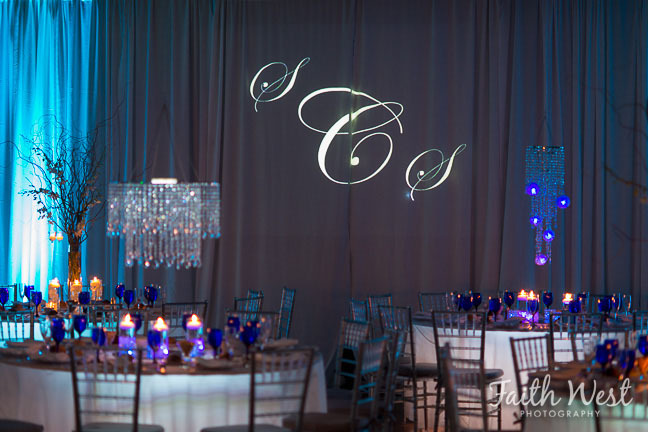 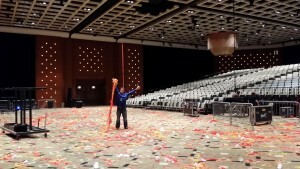 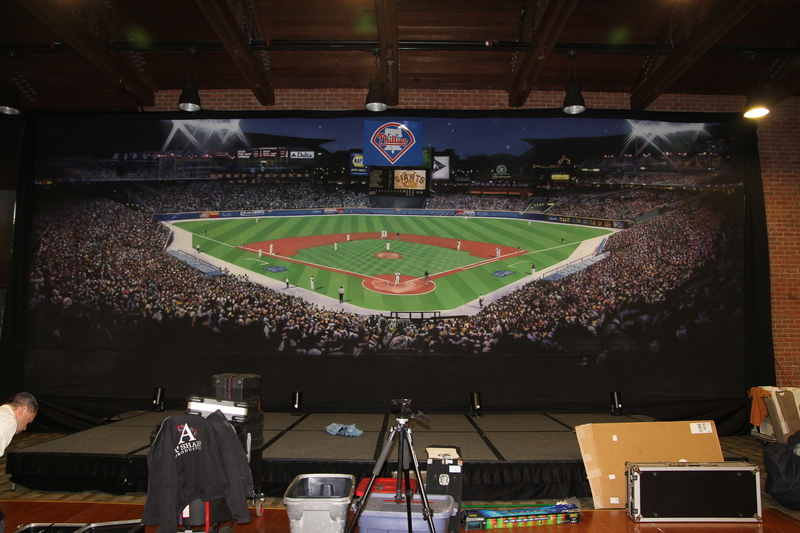 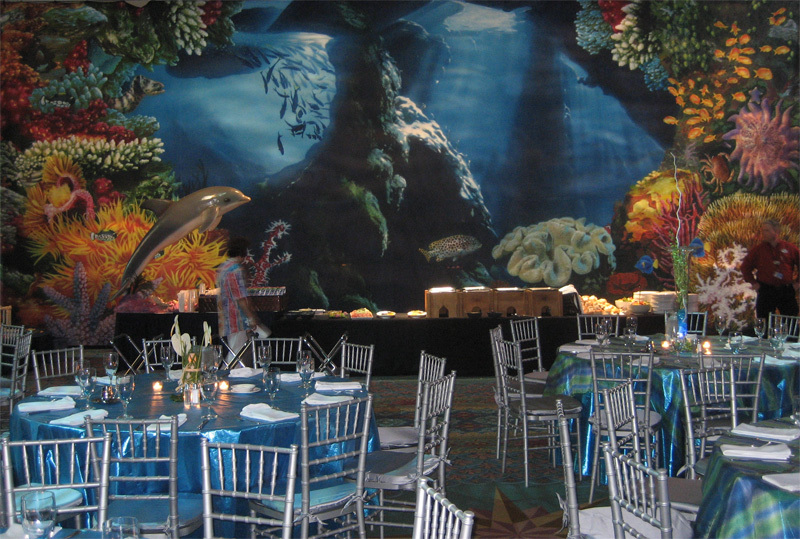 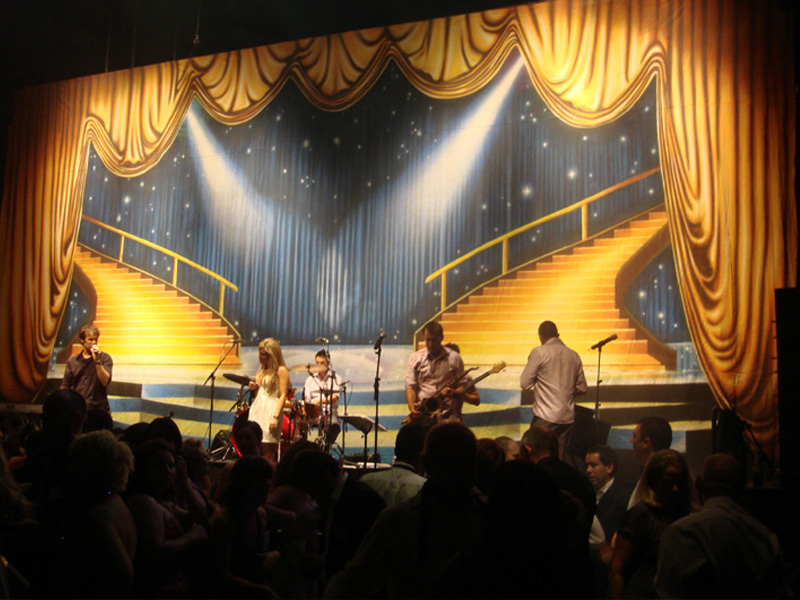 A 30 ft. by 50 ft. scenic back drop is one of our smaller canvases that can draw your guests directly into the scene or theme you are producing. A Sharp provides dance floors of all dimensions and colors. 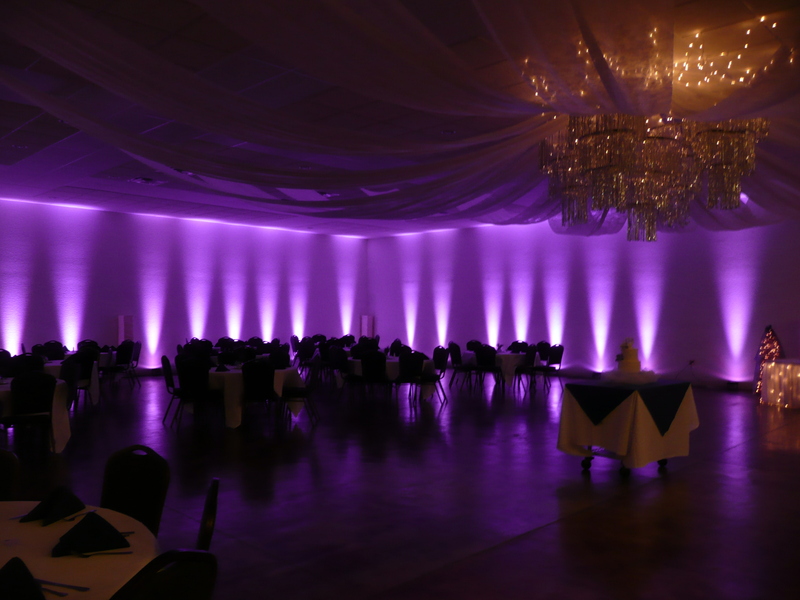 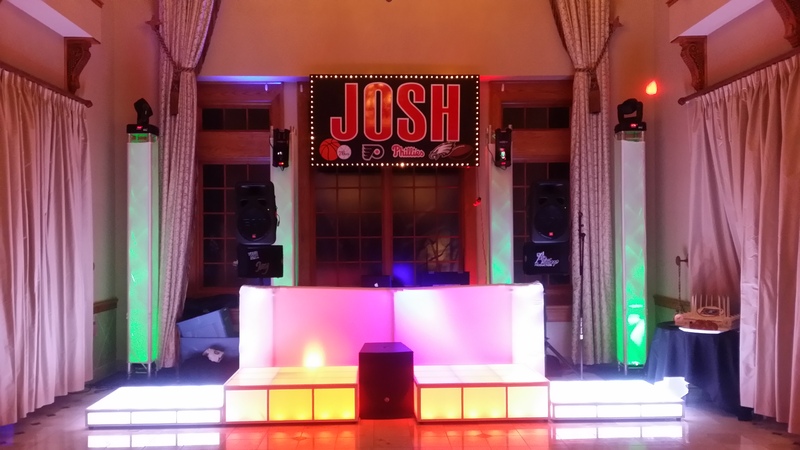 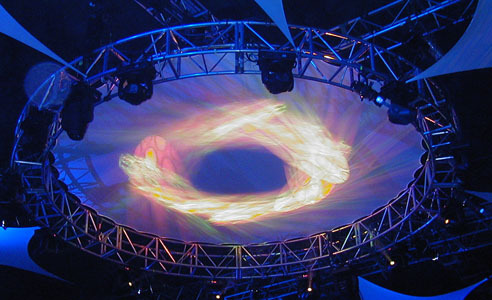 Similar to our LED stages, this dynamic addition to your party will become the center attraction of everything going on around you. 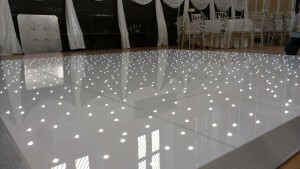 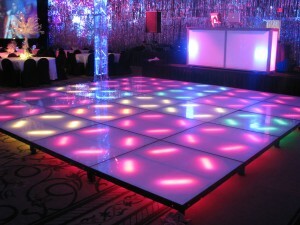 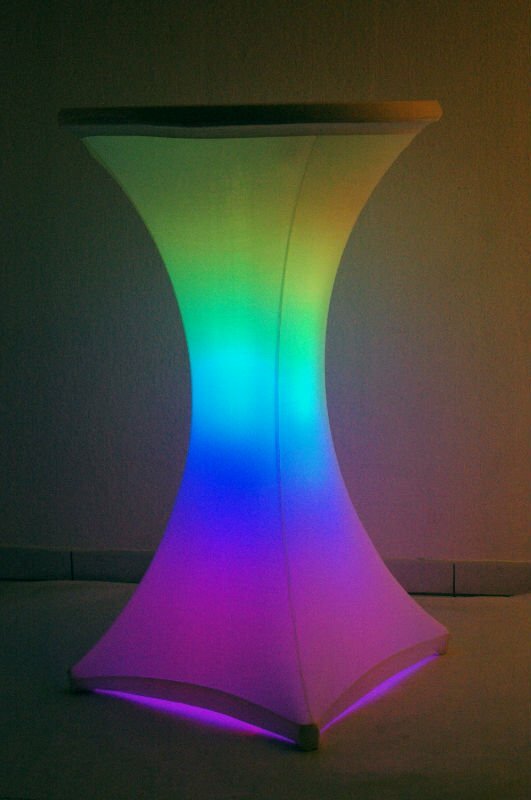 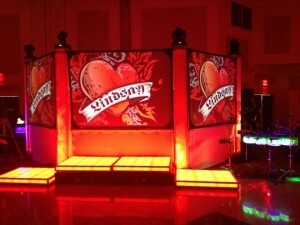 An LED dance floor not only can change colors and patterns, but it can highlight movement to music and images. 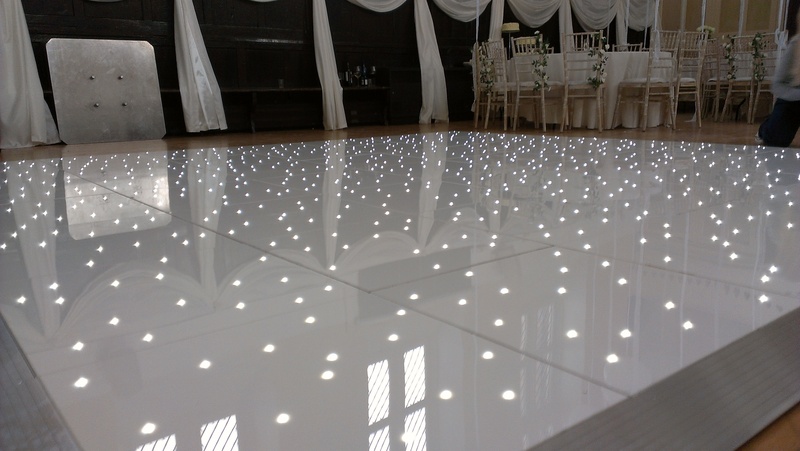 Our dance floors can be made into any size up to 30 ft. by 30 ft.
A Sharp offers many different designs of lounge furniture such as sofas, love-seats and ottomans. 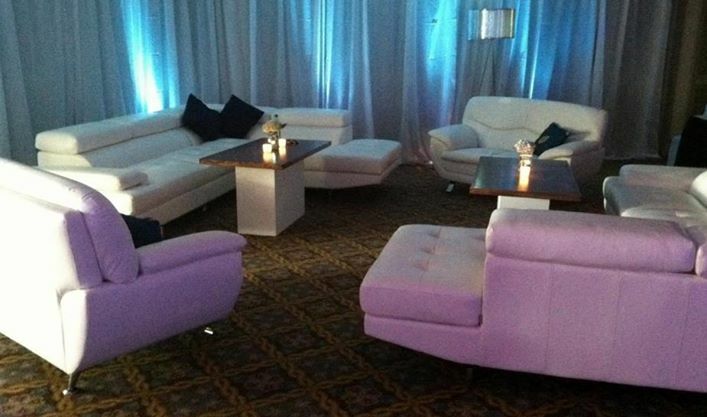 Add a cocktail or full size table and bar, then throw in a few accent pillows and rugs, and you have yourself quite the lounge club feel. 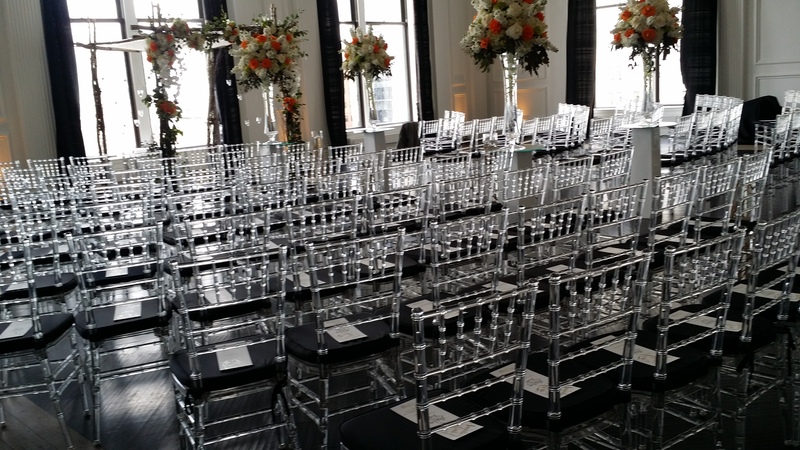 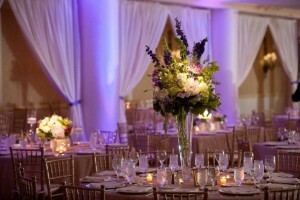 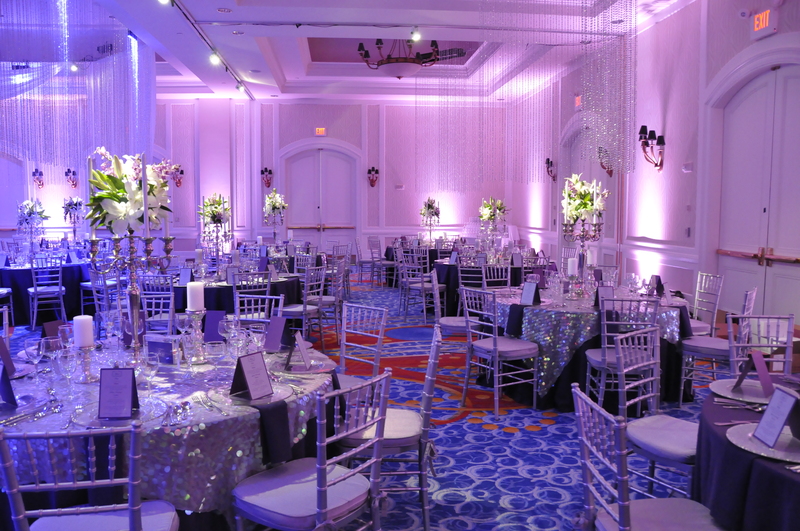 Chiavari Chairs gives your table design and centerpiece more emphasis. 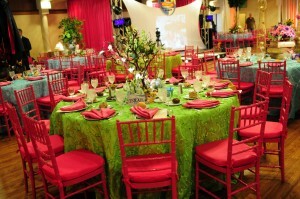 These beautiful chairs come in a multitude of colors and are topped with comfortable seating pads. Chiavari Chairs can also have bows and accents as an option. 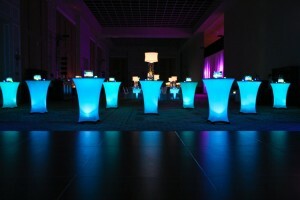 Choose from a variety of awesome color options and fabrics. 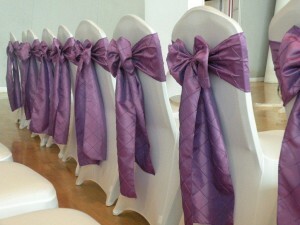 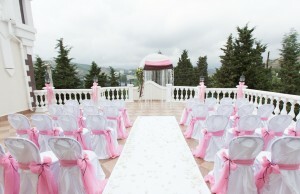 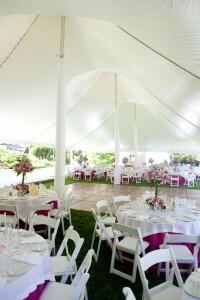 Chair covers can also decorate tables with finished accents like bows and purse hooks. 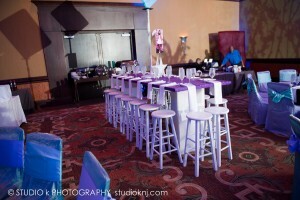 Ask about our Chivari Chair rental. 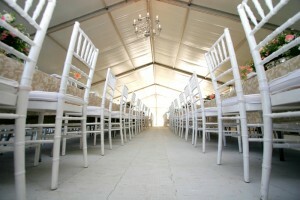 Imagine each one of your guests arriving to receive the red carpet treatment! You can even customize the guest’s arrival experience with screaming fans, flashing cameras, paparazzi, movie stations and even sky trackers. 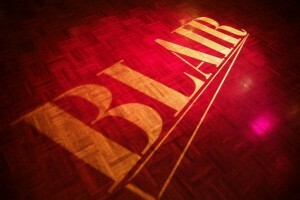 Ask about our step and repeat drop too. 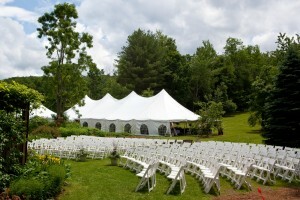 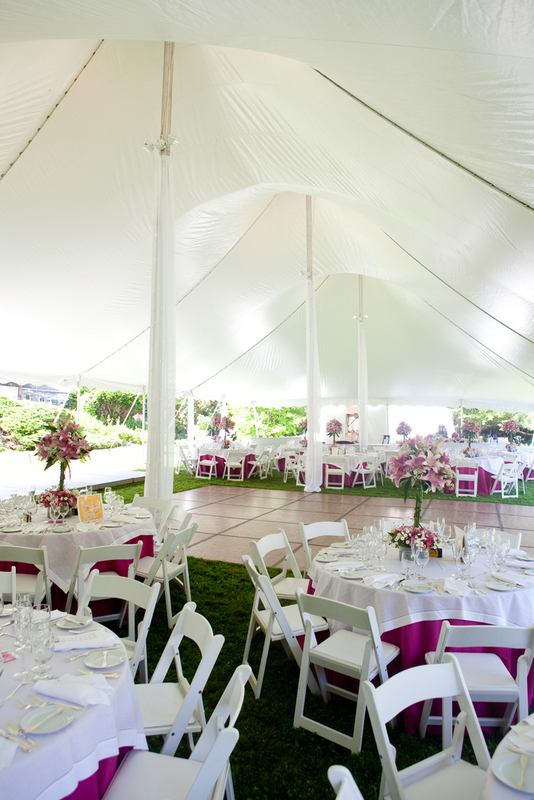 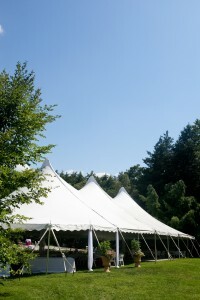 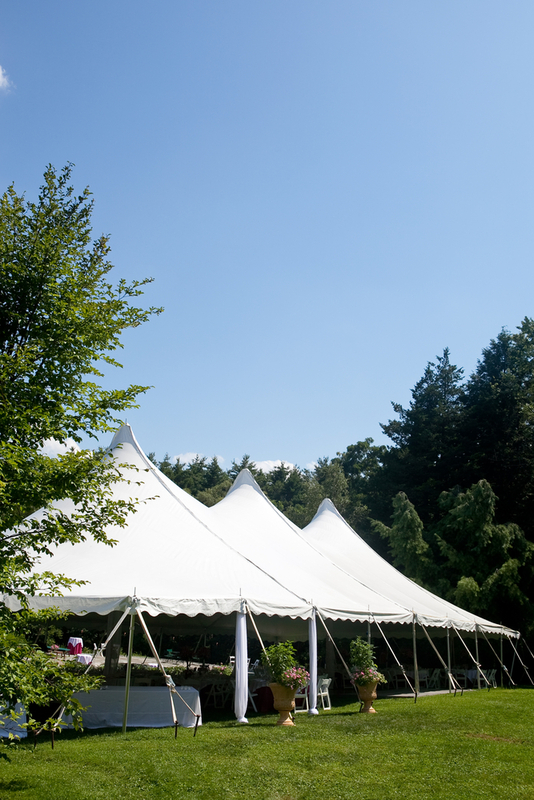 A Sharp will introduce you to our tenting professionals who offer sizes from an intimate designed canopy to full size structured tents. 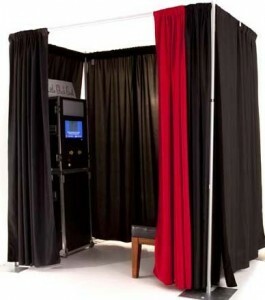 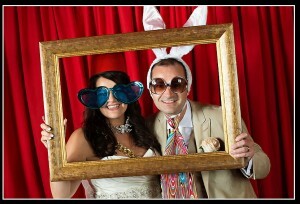 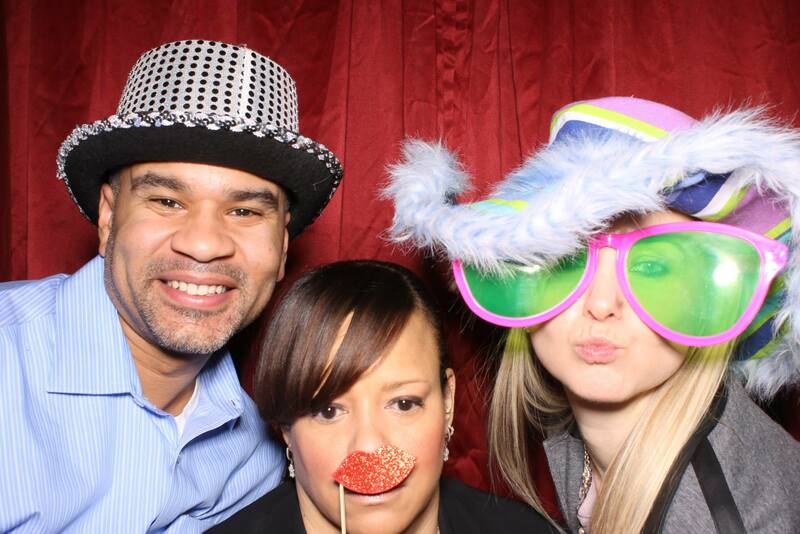 Since the days of boardwalk piers, photo booths have come a long way in twenty-first century. 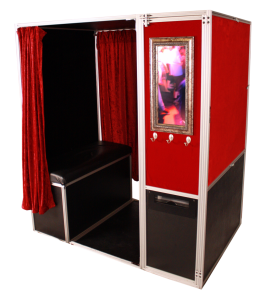 From Coney Island style to open stand ups, our new digital photo booths are the perfect memory that will last a lifetime. 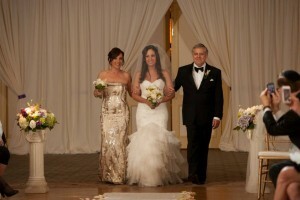 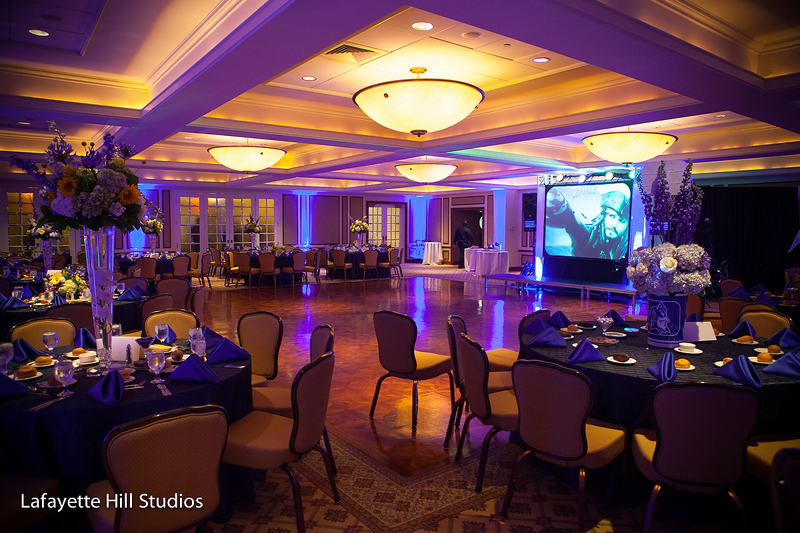 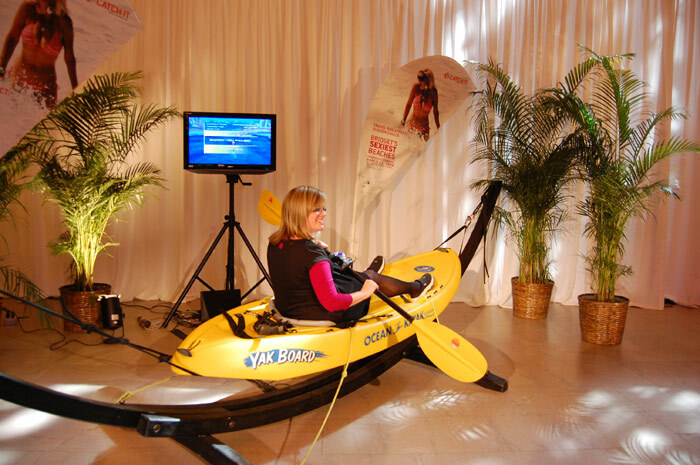 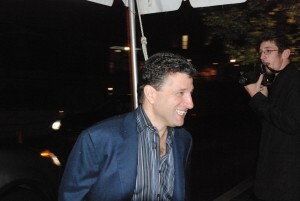 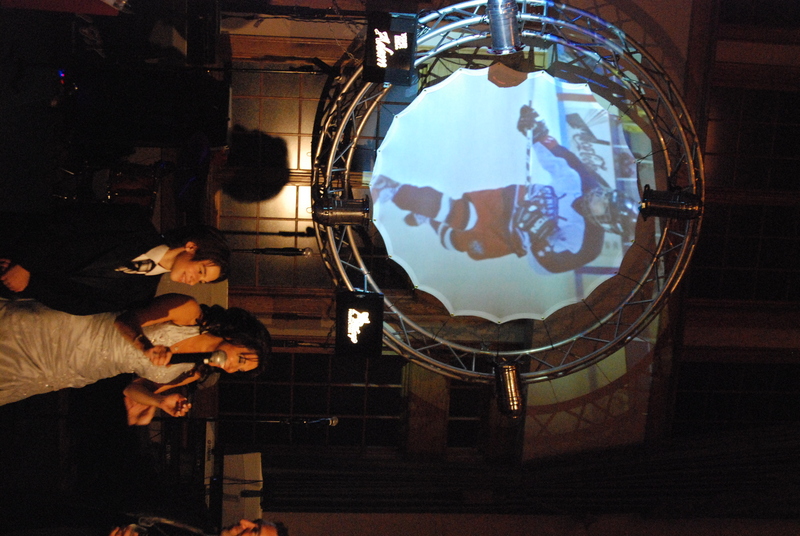 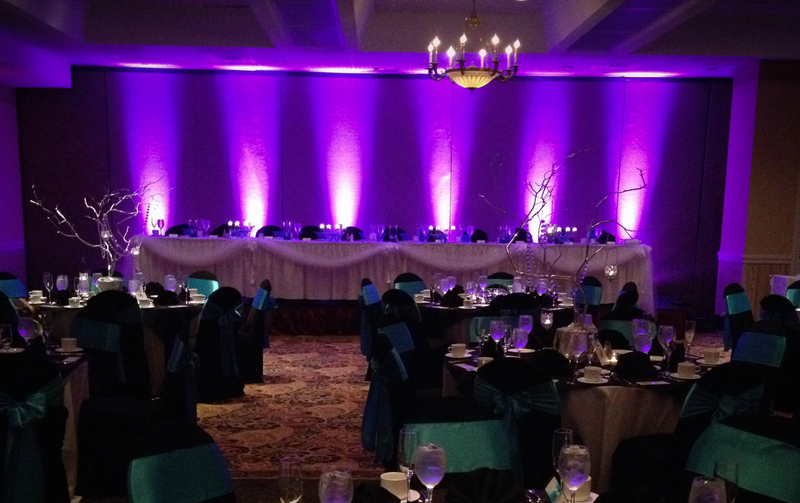 Guests can choose from a variety of options such as: the exposure of color to video messages. 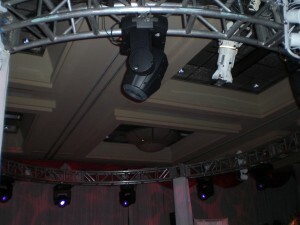 Guests can even post their photos directly to their personal social media account. 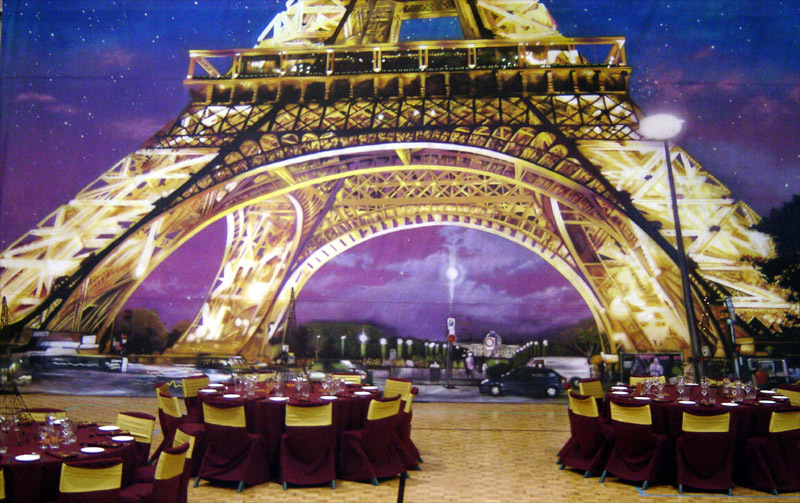 Ask about our prop displays and life size cutouts. 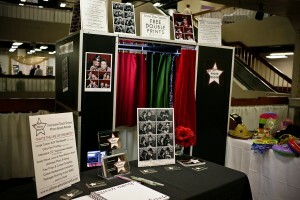 One of our most popular favors is our 4X6, 5x7, and full page prints that can be placed in a variety of quality frames. 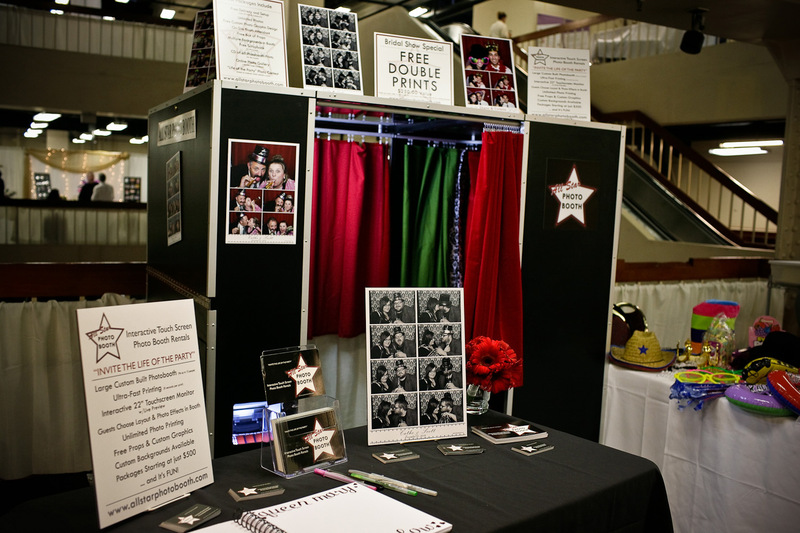 You can even accessorize your display with items such as: bobble heads, picture clips, mouse pads and more! 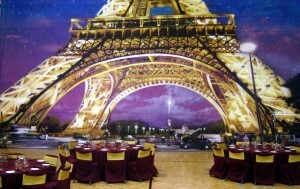 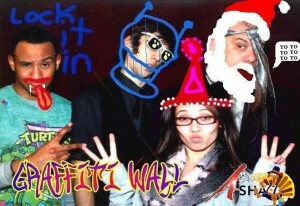 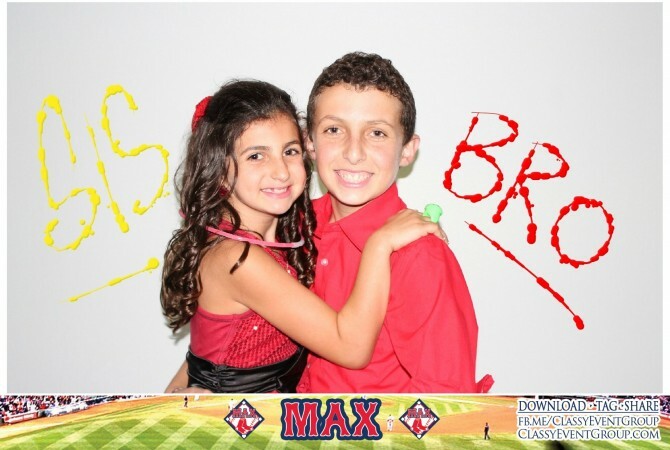 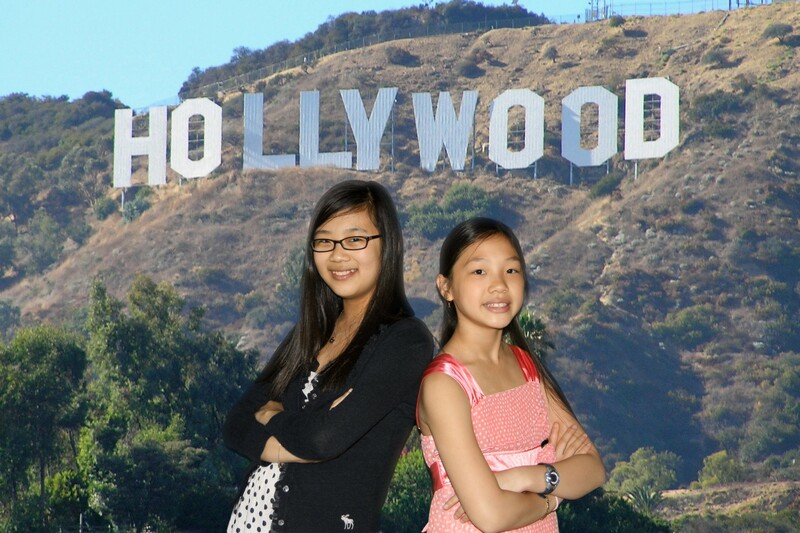 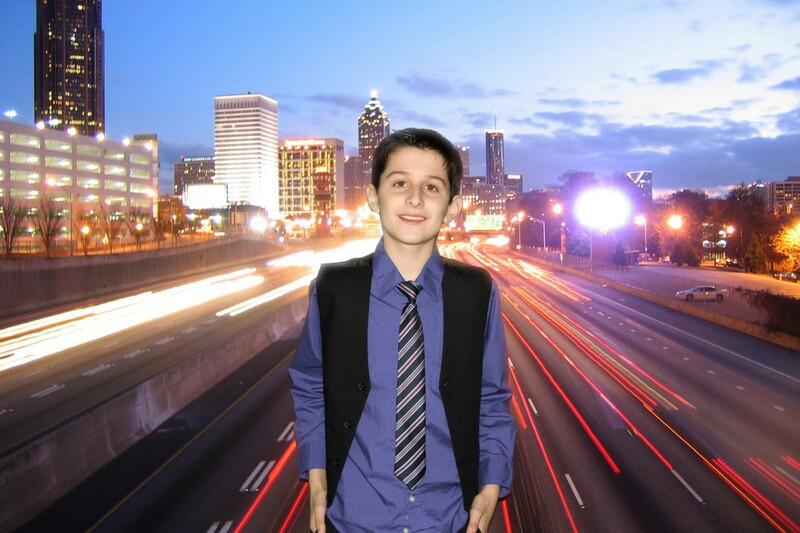 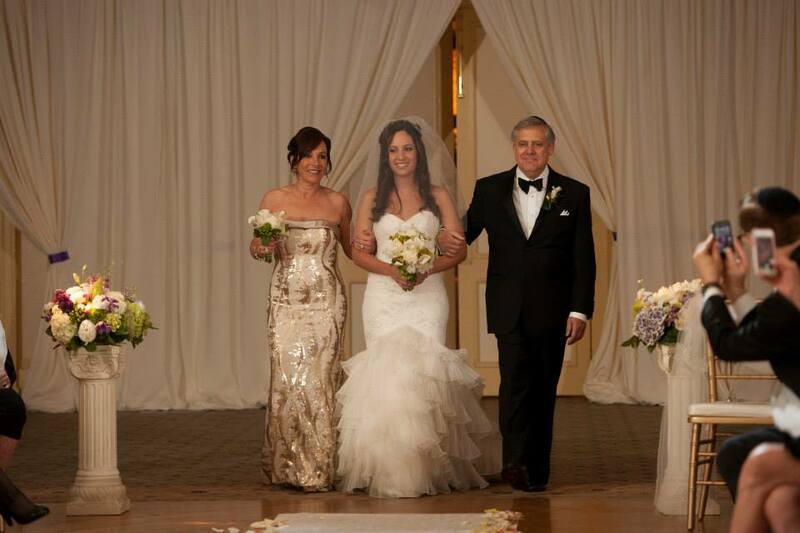 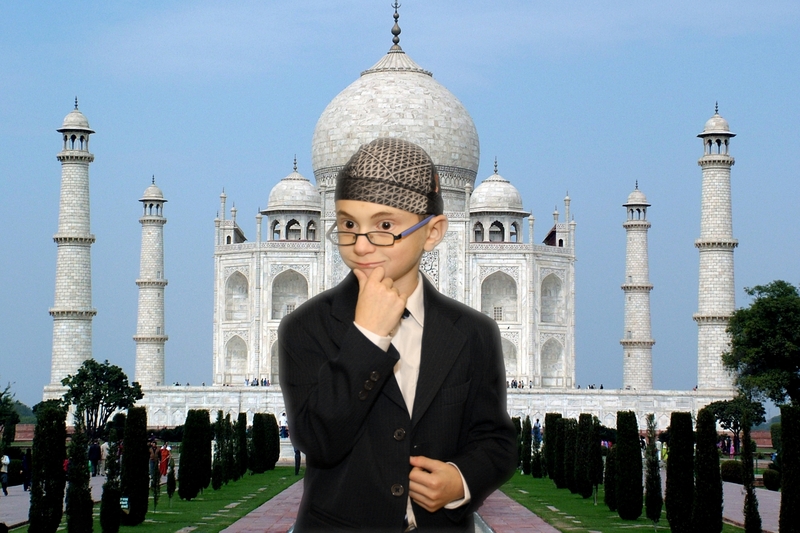 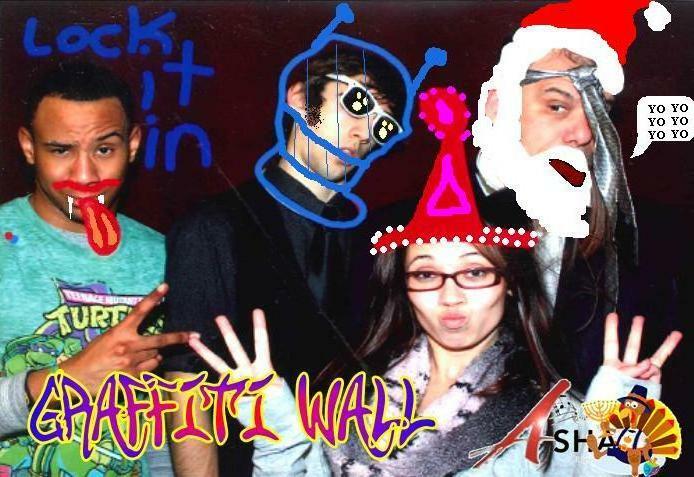 Ask about our green screen technology, flip and scrap-books and canvas packages too! 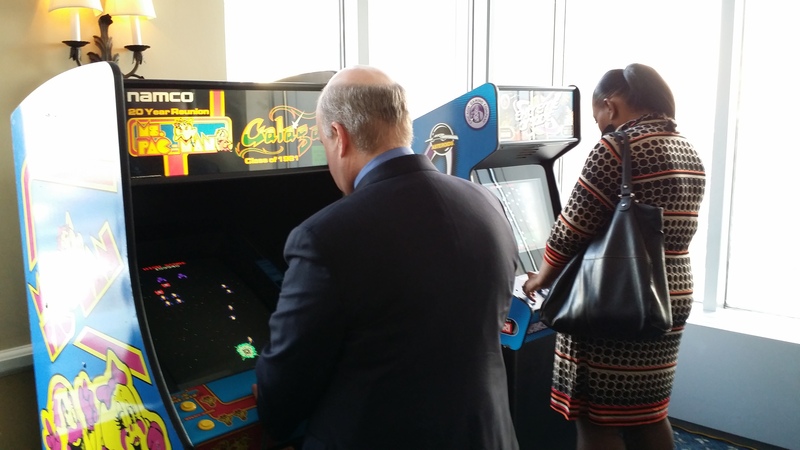 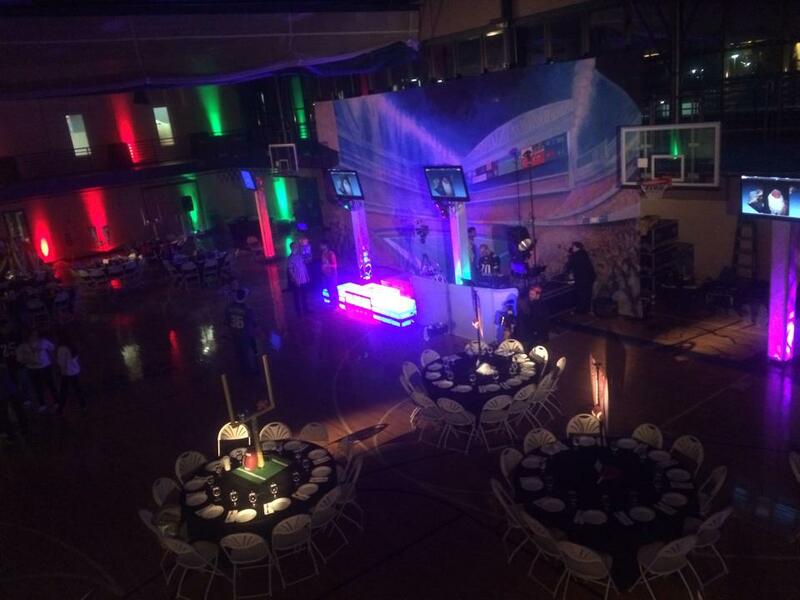 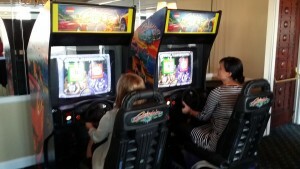 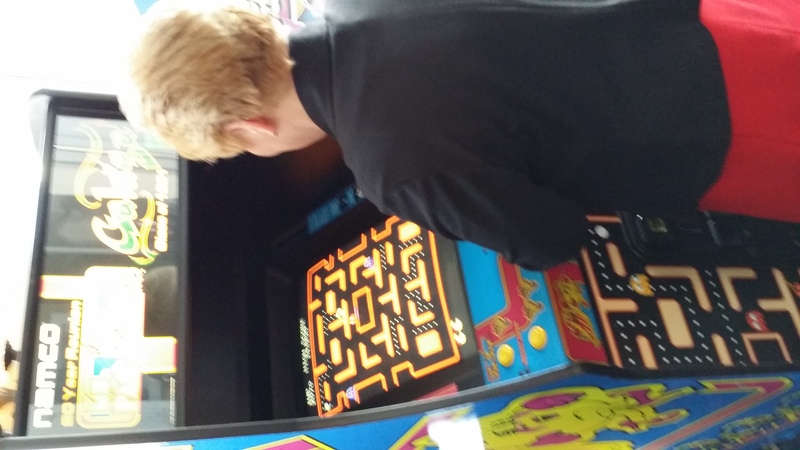 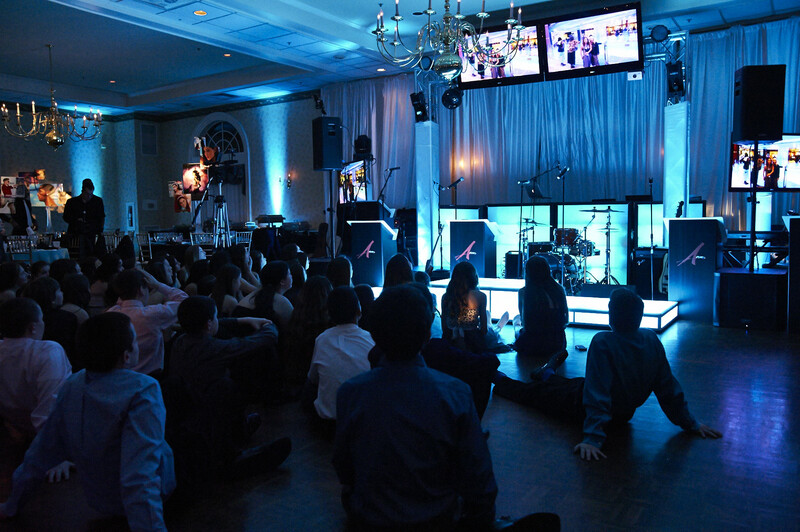 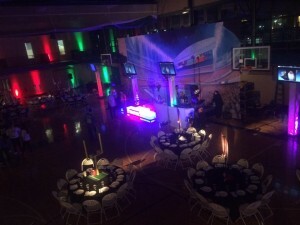 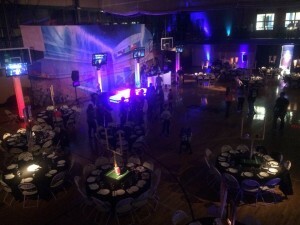 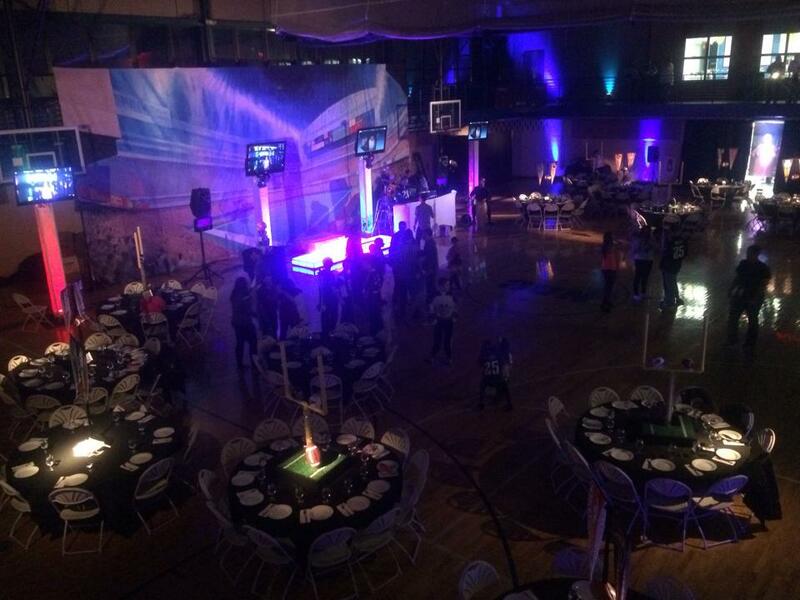 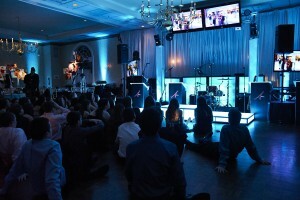 We will bring the most popular gaming consoles to your next event for a fun cocktail hour, or entire reception which can be projected onto large screens or LED Monitors. 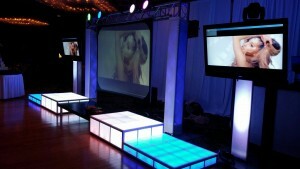 Ask about our prize packages for competitions. 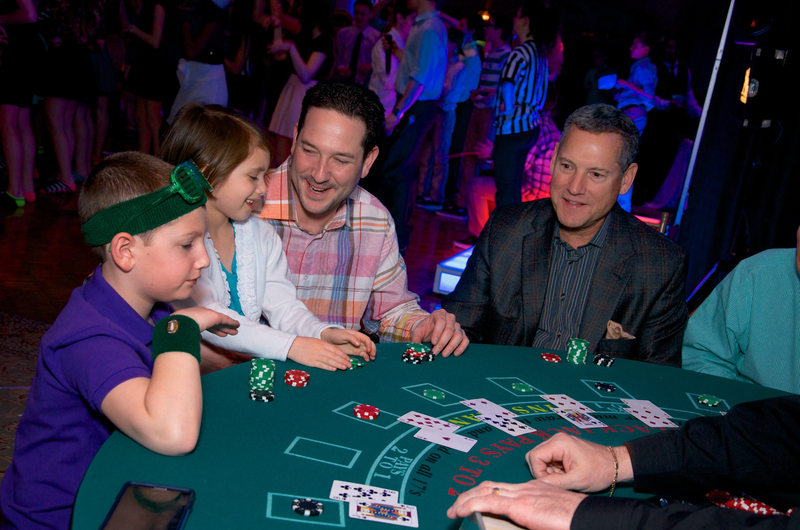 Texas hold'em, black jack, roulette, craps, and the famous money wheel are available to create your casino. 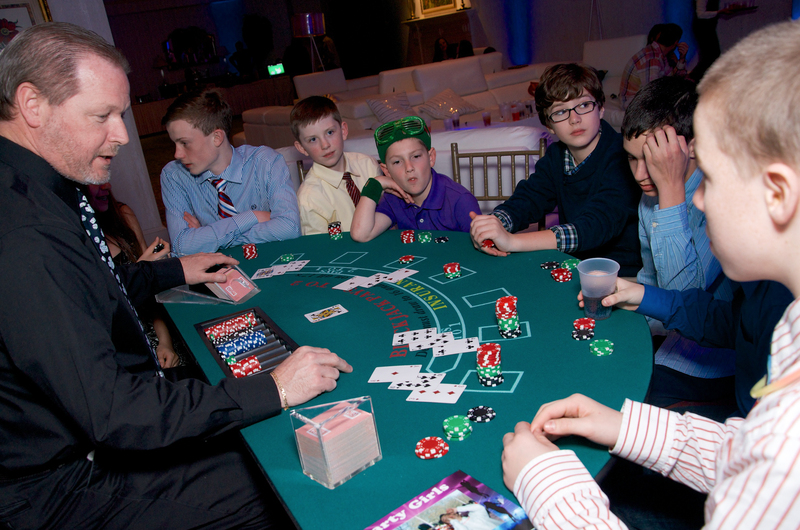 All table games come complete with authentic dealers, chips and cards. 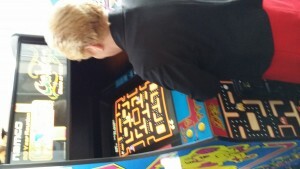 They are great for any age. 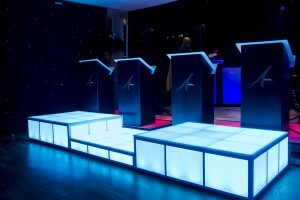 Ask about our prize packages for competitions. 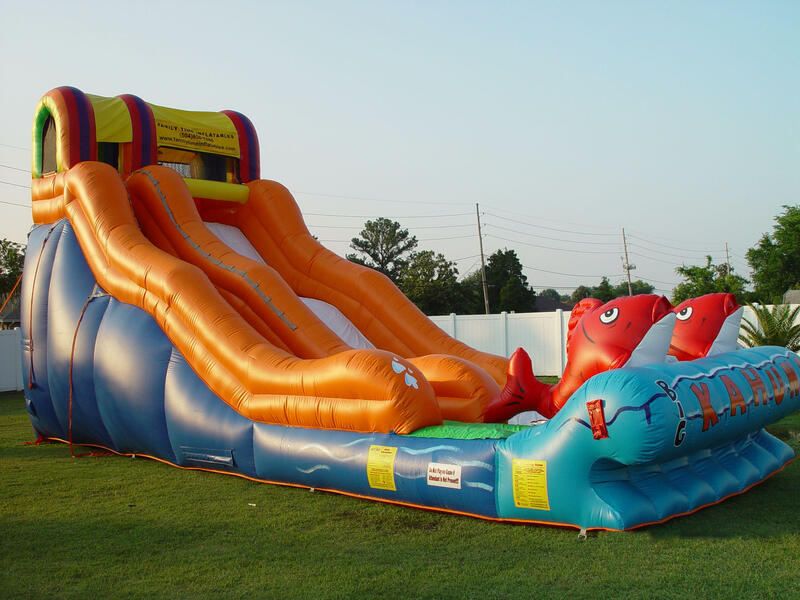 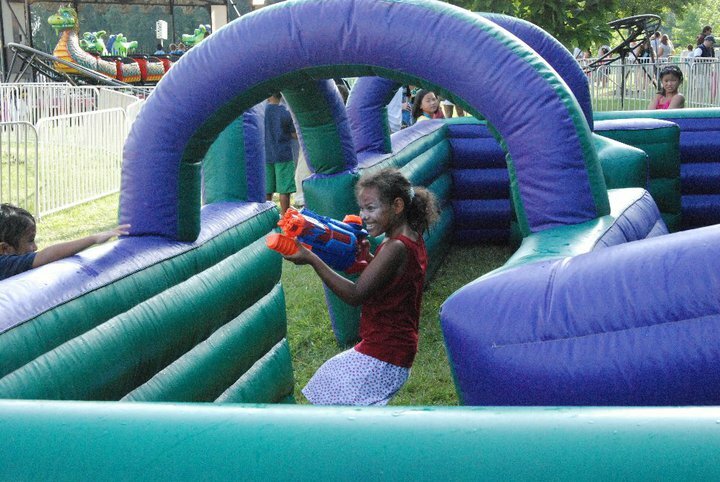 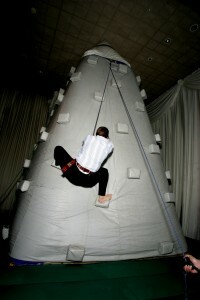 We have inflatable challenges such as: Rock climbing walls, bungee runs, and obstacle courses that will make your event extreme! 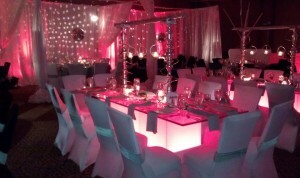 We have many more to choose from, so ask about our entire list, and ask about our prize packages for competitions too. 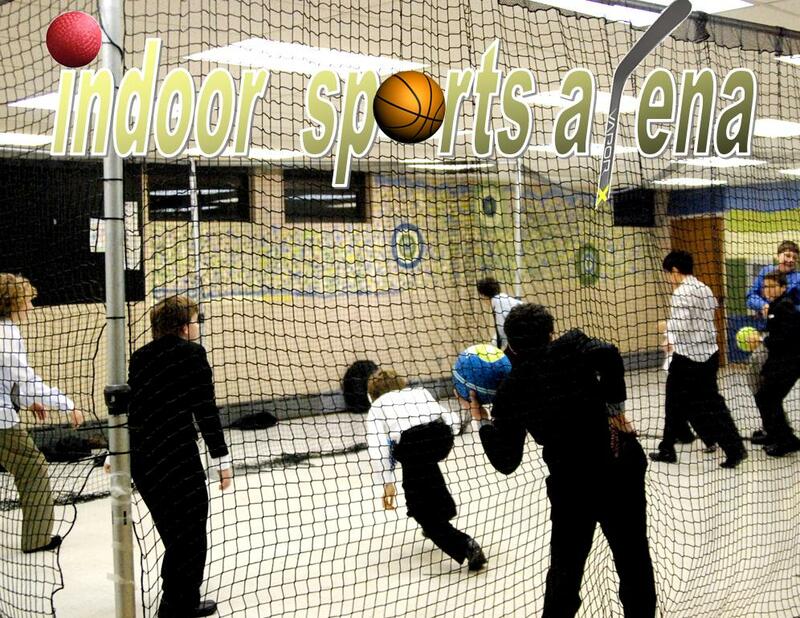 This indoor/outdoor arena offers everything: speed pitch, basketball, soccer, slap shot hockey, dodge ball, lacrosse and we’ve even done snowball fights! 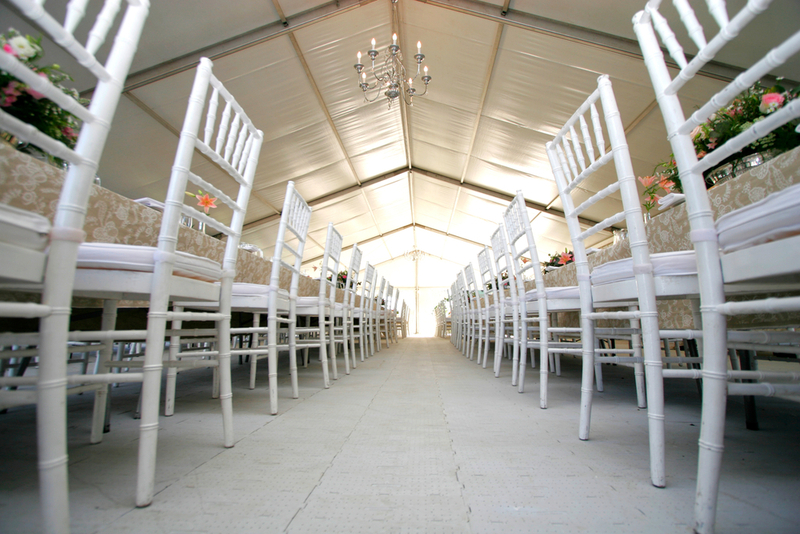 Your arena is mobile and can be placed in the most fragile of rooms because it is protected by sturdy netting and heavy weighted bases. 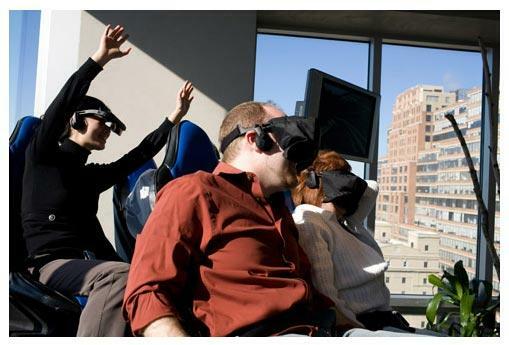 Let yourself get lost in our virtual world! 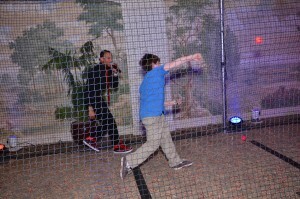 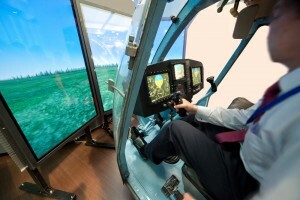 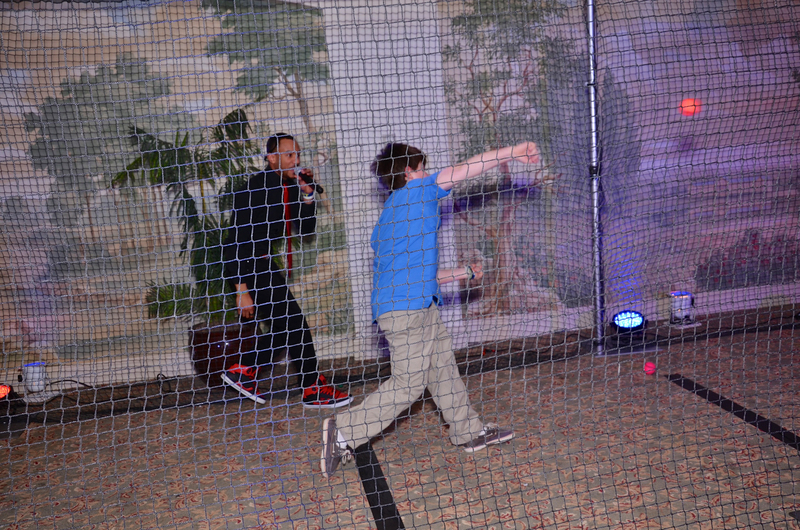 Virtual roller coasters, flight simulators, virtual auto racing and more will be sure to leave the guests screaming. Yes, just like the ones you have seen at the country western bars! 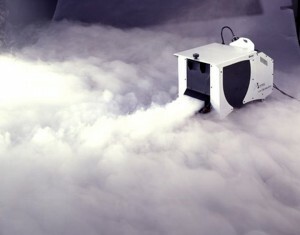 It can move at all speeds to give your guests a thrilling ride. 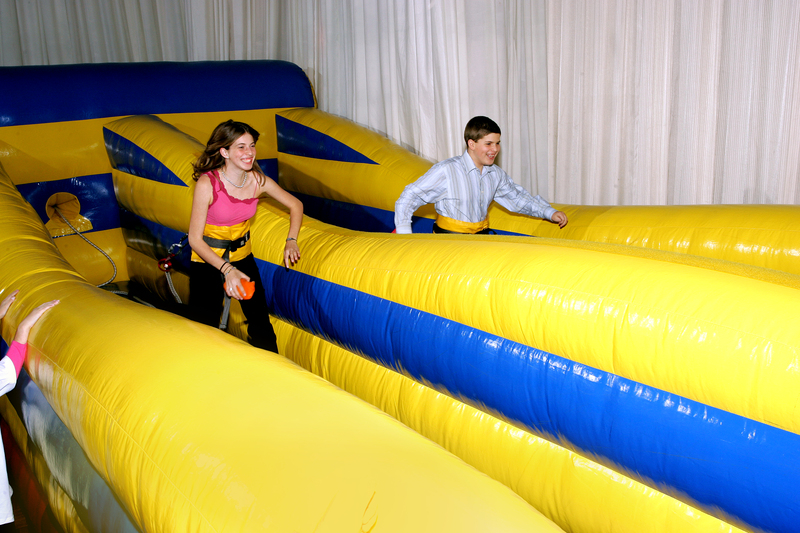 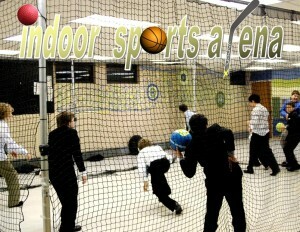 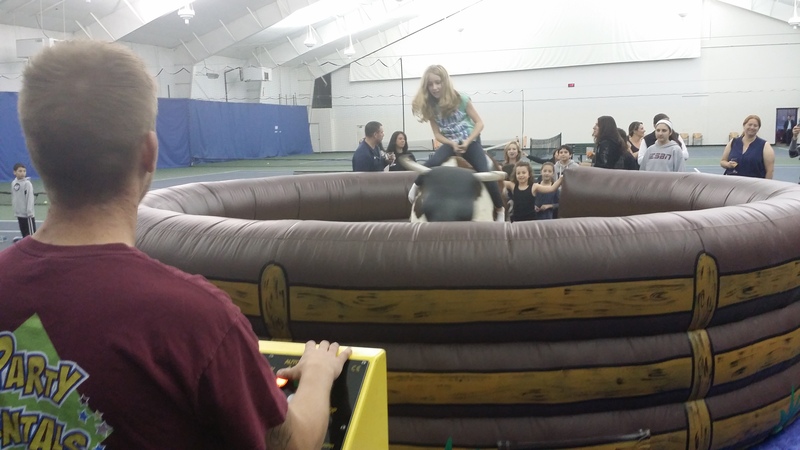 The bull arena is completely padded and enclosed for a safe and fun time! 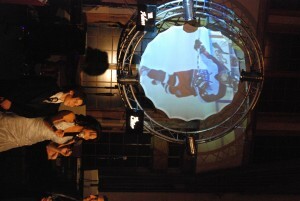 Our monitors are set to broadcast your media. We offer 42” to 90” high definition displays. 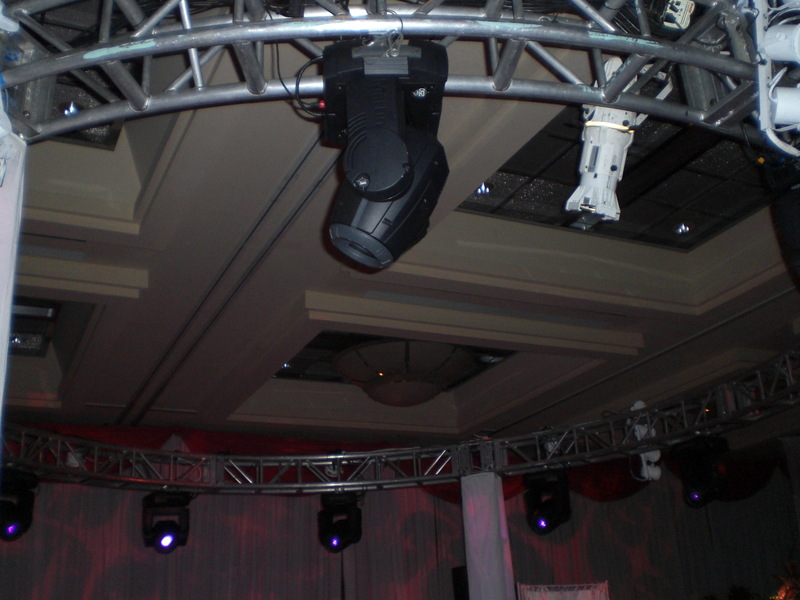 These monitors can be suspended onto trussing, or A Sharp will place them on pedestals anywhere you want them to be seen at the venue. 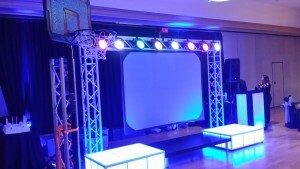 Ask about our projection packages which includes the source players and professional technicians that will manage your media for the entire event. 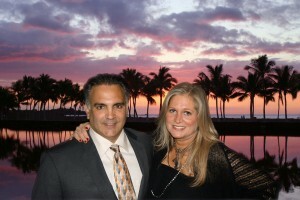 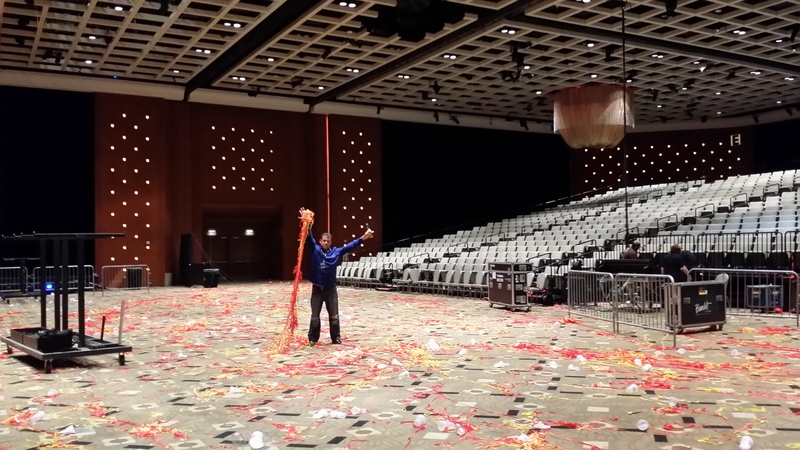 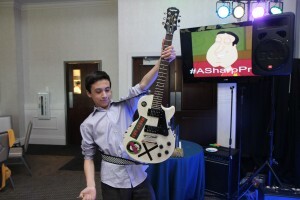 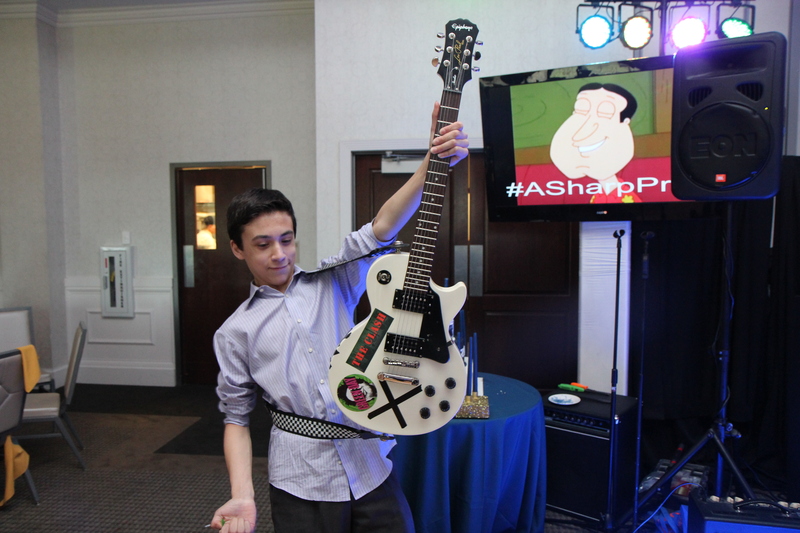 At a corporate function, wedding or mitzvah, you may want a fun way of sending a message to everyone publically. 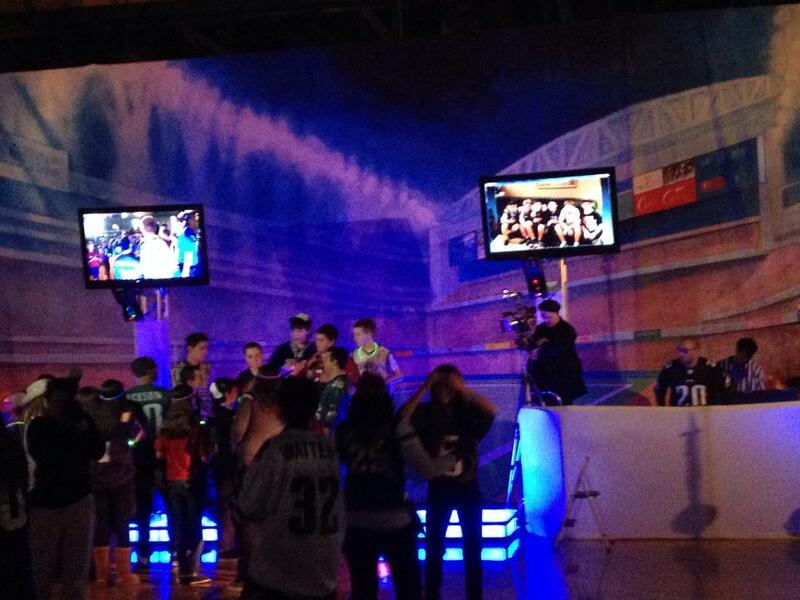 Sending text messages and hashtags to Instagram is what we broadcast best. 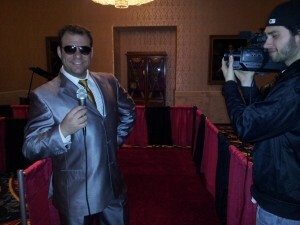 Messages and PICS will be broadcasted live (YES, they are censored.) 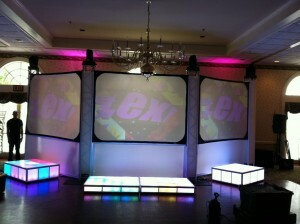 ‘Text Message Live’ can also do polling and trivia games about your theme, company or guest of honor(s). 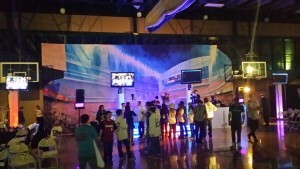 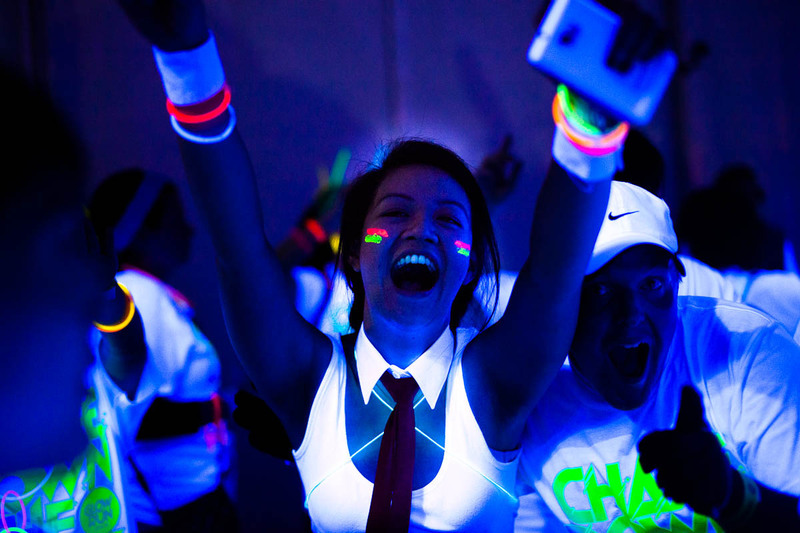 With today’s online speed and social media previewing, your event highlights will become and instant “InstaParty”. 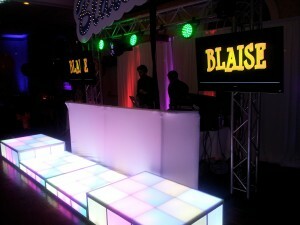 Allow A Sharp to create ways to bring the party right to your social media in real-time. 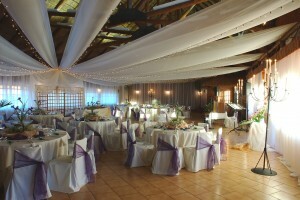 We also broadcast these images onto your Media Screens so all your guests can see each other’s posts. 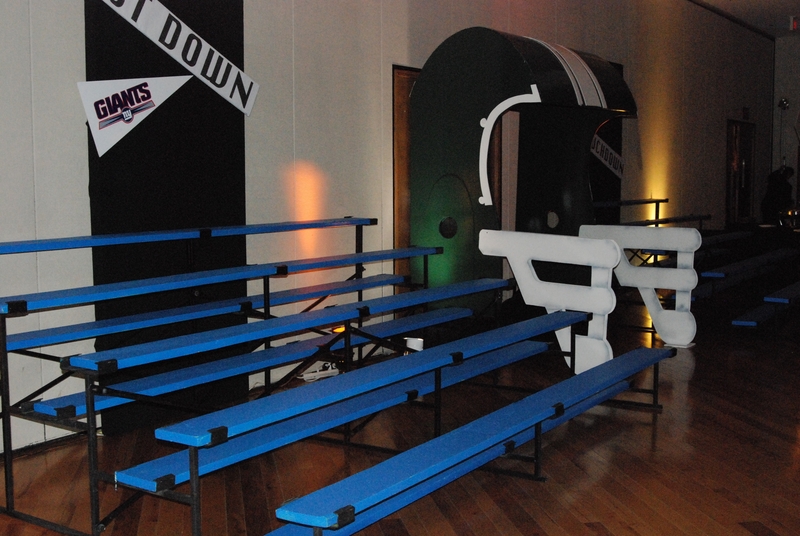 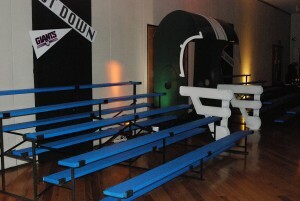 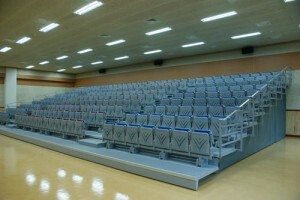 Bleachers and stadium seating is truly an authentic way to create that sports or theatrical feel. 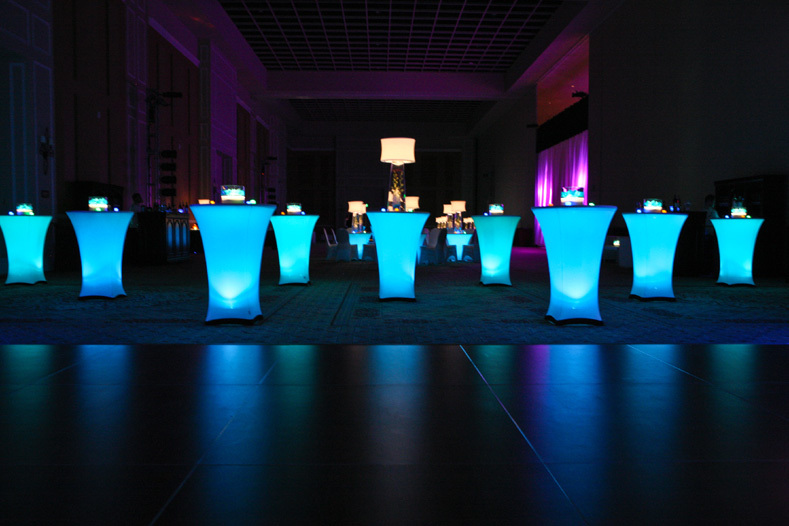 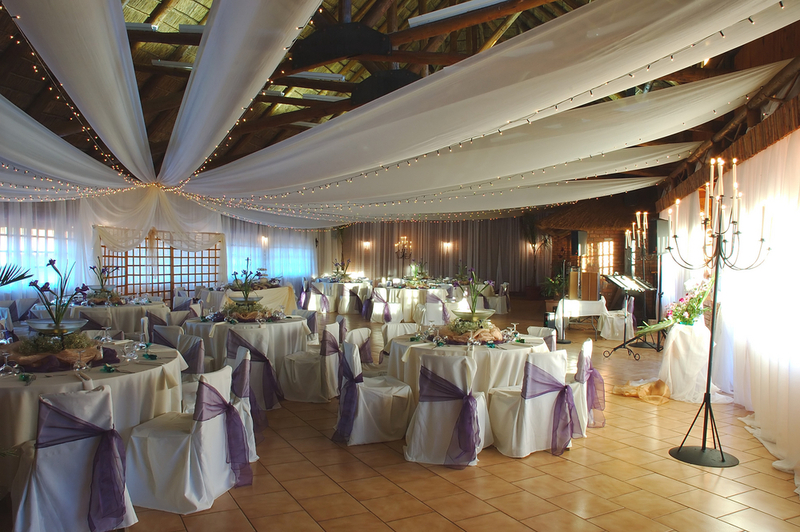 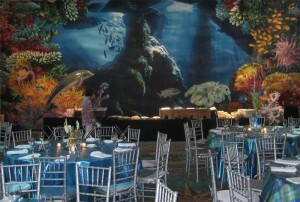 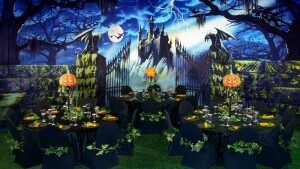 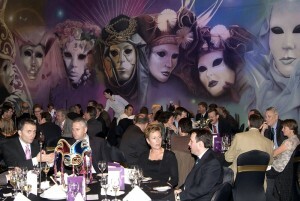 It can bring your theme to life, giving your guests that ‘show time’ experience. 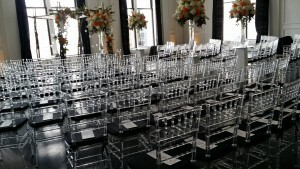 A Sharp offers seating for any guest count as well.